Hurricane Irma is forcing Walt Disney World to shut down for only the sixth time in the resort's 45-year history. The resort is closed Sunday and will remain shuttered through Monday, the park announced on Friday. Hotels remain open. Disney World aims to re-open Tuesday, a company spokesperson said. 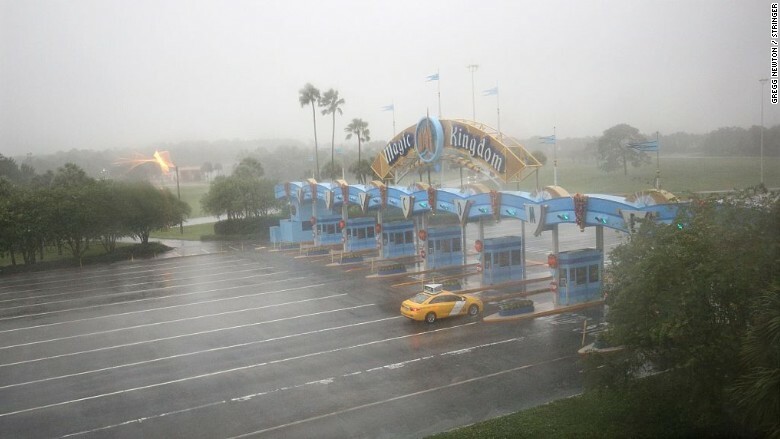 This marks the second-straight year Disney World will shut its gates because of severe weather: Hurricane Matthew forced it to close last October. Disney World comprises four main theme parks: Magic Kingdom, Epcot, Animal Kingdom and Hollywood Studios. The resort also includes water parks, hotels and an ESPN sports complex on 25,000 acres of land southwest of Orlando. Magic Kingdom is the most popular theme park in the world, according to industry group Themed Entertainment Association's annual report. More than 20 million people visited the park in 2016. The resort employs 73,000 people. Epcot, Animal Kingdom and Hollywood Studios were also among the top 10 most-visited theme parks in the world last year. Water parks Typhoon Lagoon and Blizzard Beach were the second and third most popular water parks last year. Disney World is an important revenue source for Disney, but BTIG analyst Rich Greenfield doesn't expect short-term closings to impact investors' outlook on the company. That could change if the resort or rides suffered physical damage from Irma, Greenfield cautioned. Disney World follows Orlando evacuation policies. Orlando has not been ordered to evacuate, but a curfew is in place for 7 p.m. Sunday. The resort's hurricane policy fully refunds customers who purchased tickets through Disney (DIS), but it doesn't cover third-parties like airlines, hotels and car rentals. Mickey's "Not-So-Scary Halloween Party" had been slated for Sunday, but Disney was forced to cancel it. Guests who had booked the event had the option to exchange their ticket for a future event or get a full refund.